The Campaign 1776 Expansion Pack 1 includes a new campaign covering the full Saratoga campaign from the opening face-off at Fort Ticonderoga through the battles of Hubardton and Bennington to the Saratoga battlefield. In addition, it links in the "sister" campaign starting at Fort Stanwix to determine if Burgoyne's grand strategy for conquering the colonies could succeed. Created by Andrew Wagenhoffer. The Campaign 1776 Expansion Pack 2 Additional maps & scenarios (see notes.txt for additional information). By Rich Hamilton. 1776 Campaign Maps show the location of each scenario in the game. Panzer Campaigns: Smolensk '41 Campaign Maps and Historical Synopses UPDATED 28 APRIL 00 - follow the course of the actual battle. 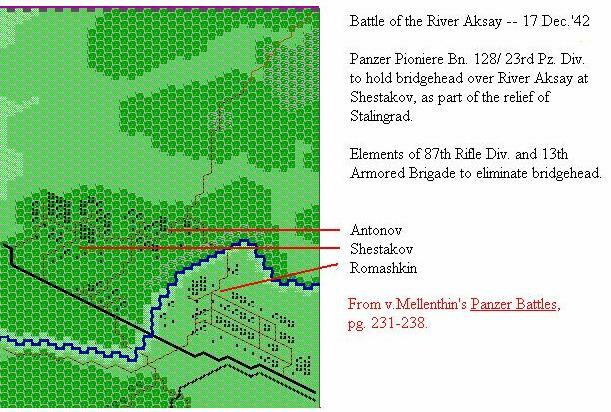 Includes a printable map of the Smolensk '41 campaign scenario map. ZIPPED. Created by Michael Avanzini . Smolensk '41 Expansion Pack 1 includes 10 new scenarios available for download. Current with v. 1.06. Read about the scenarios here. Lookup notes on relative combat values. By Vince Taijeron. 10 JUN 02: Kevin Peltz sent us this: "I have a map I created for Decisive Action. I wanted to show that a viable map could be made using a program as simple as MSPaint. It comes with a terrain shell, a coordinate grid, and a thumbnail to use in the OpOrds. Enclosed is a shot of part of the map." VALLEYA.ZIP Quasi-historical 1943 Soviet/German battle that starts as a small infantry engagement and escalates as various elements arrive on both sides. Good for PBEM. By Peter von Kleinsmid. VASTAV.ZIP Hypothetical 1942 battle. Russian forces must capture bridges held by German forces. A fun small scenario for PBEM by Sal Vasta. ZAJCEVO.ZIP Russian 50th Army supported by cavalry forces attack a kampfgruppe of the 17th Panzer Division, 3 December 1941. By Arnaud Bouis. DHANKOJ.ZIP German delaying action at Dhankoj, Crimea 12 April 1944. DMITROVKA.ZIP 1941 German Panzer Kampfgruppe attack. By Peter Mitchell. LUBIMOVKA.ZIP 6th Panzer Division has been assigned the task of breaking through the front of the 7th Guards Army during the battle of Kursk, July 1943. By Arnaud Bouis. HILL621v1.1.ZIP German blocking action outside Minsk, June 1944 with minor revisons. From AH Squad Leader scenario. By Denny Aberg. ADAMOW.ZIP Revised original scenario fixes minor errors. By Peter von Kleinsmid. DOROGOBUSH.ZIP Revised original scenario fixes minor errors. By Peter von Kleinsmid. 9LIVES.ZIP Elements of the 18th Panzer division under General Nehring encounter for the first time the monster KV-1as as they meet the crack 1st Moscow Motorized Division under Major General I.G. Kreyzer. The battle takes place near the Berzina R. during July 1941 Barbarossa Campaign. SUJEWO_1.ZIP The 502d Schwere Panzer Battalion counterattacks, June 44. By Ralph Dowsing. SOWCHOS.ZIP 11th Panzer Division in action December 1942. By John Pancoast. SHES.ZIP Panzer Pioniere Bn.128 / 23rd Pz. Div holds bridgehead on the Askay River during the attempt to relieve Stalingrad, December 1942. By Peter Mitchell. View Map. CLASH.ZIP Clash along the Psel - 12 July 43. A converted ASL scenario by Neil Stevens. FEO_REV1.ZIP Updated Feodosiya 1941 Scenario by Peter Mitchell. Improved map and OOB data, plus readme file. FINN39.ZIP Russian attack during Russo-Finnish War, 1939. Author Unknown. KRVTSY.ZIP Semi-historical engagement in northern Russia near Kirovitsky, 1944. By Nicholas Bell. NAPIORKI.ZIP Grossdeutschland Panther Battalion counterattacks in Poland, Oct '44. By Nicholas Bell. Topographic Map of Battle Area. LIPOVKA.ZIP Semi-historical attack by 24th Pz Div in July 1942. By Nicholas Bell. BARANOV.ZIP 3rd Pz Div attacks in Poland, August 1944. By Nicholas Bell. 8_JAN_44.ZIP 1st SS Panzer Division defensive action in the Ukraine, January 1944. By Nicholas Bell. DAKEN.ZIP The Fuehrer Grenadier Brigade in action in East Prussia, October 1944. By Nicholas Bell. Map of Battle. BODANGE.ZIP The Belgian Chasseurs Ardennais attempt to halt the advance of the 1st Panzer Division through Bodange, on 10 May 1940. Author Unknown. DORNOT.ZIP The attempt by CCB, 7th Armored DivCCB to force a crossing of the Moselle at Dornot, France in September 1944. By Peter Mitchell. ELGUBI.ZIP The Battle of Bir El Gubi between 22nd Armoured Brigade & Ariete Armoured Div in 1941. Author Unknown. HAUT.ZIP The counterattack on 14 May 1940 by French 5th Motorized Division against the 7th Pz Div's 7th Motorcycle Bn. This game should be a good challenge played with the AI as German player #2. Author Unknown. 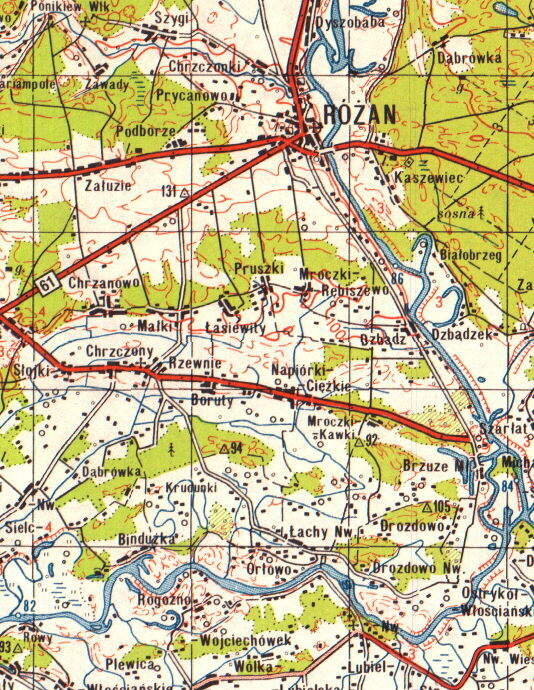 NISPEN.ZIP The Battle of Nispen in October 1944 as 9th RTR and 49th Infantry Brigade open the way for Clarke force to attack into Holland. Author Unknown. BREVITY.ZIP British attack at Fort Capuzzo, May 1941.. By John Pancoast. SANTAM.ZIP US 351st Infantry, 88th Inf Div assaults Santa Maria on the "Gustav Line" in Italy, May 1944. By Peter Mitchell. OMAHA2.ZIP This is the standard Omaha scenario without any carpet bombing which historically missed the beach. HASTYATK.ZIP A custom scenario for PitS. At the end of a long day of battle you must take your depleted TF and make a hasty attack across a river and capture a supply depot. Read the read.me file for installation instructions. By Micheal Andress. PITSTUT.ZIP A series of tutorial missions to train new users, by Martin Rapier. The missions get progressively harder. GRNHELL.ZIP US attack in hedgerows, July 1944. Author unknown. 1952.ZIP A hypothetical 1952 scenario depicting a Soviet armored attack on a dug in US Task Force. By Bob Philips. BDAWN.ZIP "Bohemian Dawn" Hypothetical 1953 US-Soviet Meeting Engagement. By Peter von Kleinsmid. BAOMG.ZIP This is a Broken Alliance scenario specifically designed by Jim Richberg for PBEM matches. It is a pretty big scenario featuring the attack of a Soviet Operational Maneuver Group (OMG) in 1949. Includes briefing .doc files for both players. 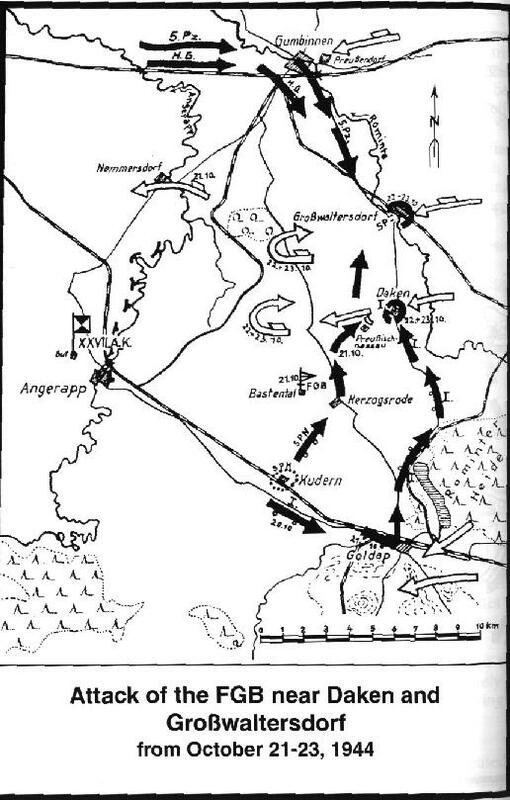 BIBURG.ZIP Hypothetical Soviet Assault in Bavaria against US Forces. By Nicholas Bell. WAKE.ZIP Japanese invasion of Wake Island, 1941. By Mike Walker. LSSAH_C3SIL.ZIP A custom silhouette file for the LSSAH in Normandy campaign disk #3 with appropriate weapon types, by PvK. MAPSBP.ZIP 7 maps by Bob Phillips. TOP_SIL.ZIP Custom silhouettes for ToP2 by Mike Walker. NBMAPS1.ZIP 5 maps for ToP and PitS by Nicholas Bell. TOPMAPS.ZIP The complete collection of ToP maps by John Fluker. 28 maps total. PASHAMAP.ZIP The complete collection of Panthers Maps by John Fluker. 40 maps total. CVIEW_WC.ZIP 3-d rendering of ToP/PS map wc.map by Robert Heinz. NEWPITS.ZIP Custom silhouettes and terrain for Panthers by Carl Fung. Nice! NEWTOP.ZIP Custom silhouettes and terrain for ToP2 by Carl Fung. Nice! ASLMAP.ZIP A set of ASL maps, for Panthers in the Shadows. CUSUNIT1.ZIP Custom Units for Panthers/Top2. Alternate silhouettes for Russian, US, UK, and German forces. Simply overwrite the existing files. PS_TER3.ZIP Custom winter terrain set for Panthers in the Shadows and Tigers on the Prowl from HPS Simulations. Look at README.TER file for instructions after PKUNZIPPING. TOP_TER.ZIP New terrain maps for Tigers on the Prowl. Unzip into an empty subdirectory and then read the readme file for info. TOP_MAP2.ZIP Nine additional user-created maps for Tigers On the Prowl by Nina Kristiansen. MAPLIST.ZIP A windows 95 program utility that will make a list of all your map files. It makes a txt file of all the *.map files and tells you what the map name is. By Robert D. Logue. OOBTEMP1.DOC A template for design your own scenarios. Organize your scenario force's characteristics. . By Salvatore Vasta. PITS TOE.ZIP Tables of Organization and Equipment (TO&E) for PitS by Carl Fung. In Excel format. German Tactics.txt U.S. War Department "Handbook On German Military Forces" chapter on German Tactics. Scenario-Maps.xls MS Excel listing of scenarios and maps. Edit TO&E.txt How to edit the formations (TO & E: Tables of Organization and Equipment) in ToP and PitS. TO&E.txt Late war US and German TO & E's for use in PitS by Carl Fung. HPSEdit An editor which enable renaming maps and scenarios. Also allows for editing of of many aspects of scenarios which cannot normally be edited after a scenario has been created.